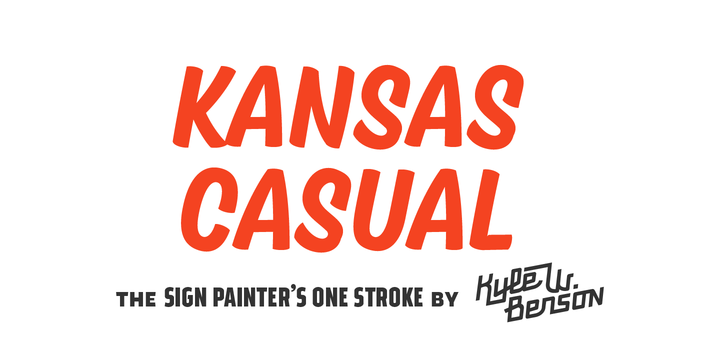 Kansas Casual is an upright and brush drawn type created by Kyle Benson and published by by his own foundry with his full name, Kyle Wayne Benson. With six weight under the belt, Kansas Casual offers an authentic painted style, carefully designed details and vintage one stroke brush. These make it fit easily into any print context. A classic brush power! A font description published on Tuesday, July 1st, 2014 in Fonts, Kyle Wayne Benson by Andrei that has 5,136 views.